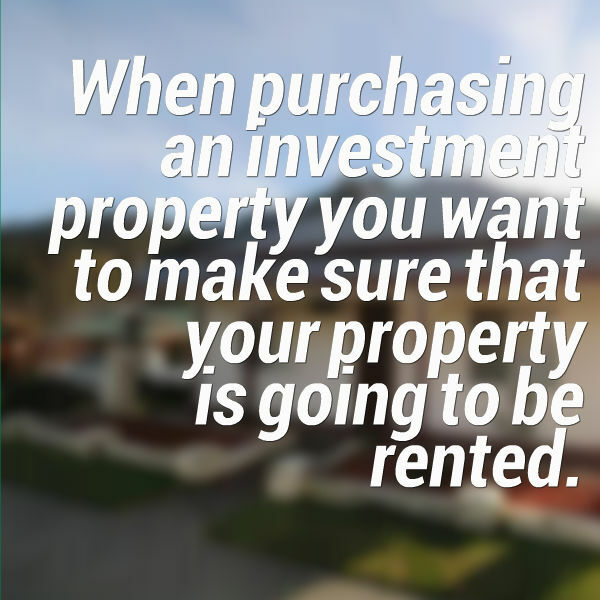 When purchasing an investment property you want to make sure that your property is going to be rented. If you’re investing in a property and it’s not rented you still need to make all your repayments and so it’s a big drain on your cash flow. Today I’m going to be answering a question from Melinda about how we can assess an area to ensure that our property is going to be rented. “Hi Ryan, one question I have is, I have tried your advice and bought the investment mag and gone through the suburbs highlighting the best rental yield areas. I’ve also looked at some of the houses in those areas and found that there are some that are within my price range at the moment. I am going to show you how to ensure that there is rental demand in the area and that you can rent your property after you purchase it. Let’s start with using Census Quickstats. You can choose your year, so 2011, and enter your location. I’m on the Gold Coast so let’s just choose an area on the Gold Coast, 4220 which is near where I live. We click go then basically what this is going to do is bring up all the details about 4220 which is around about Burleigh Heads, Miami, Burliegh Waters, those sorts of places on the Gold Coast. We can see a map there see how many people live in the area. What we want to do is we want to go into the dwellings section, and we want to go down to this line marked tenure. We can see how many people own properties outright, which means no mortgage, how many people own with a mortgage and how many people rent properties. So we can see that it’s pretty even, 32 own outright, 32% own with a mortgage and 32.2% rent a property. So there are 3,658 people or units or family units renting property in the area. That’s a good sign; I like to see round about the 30% mark. It doesn’t necessarily have to be that. The next thing that we can do is look at the types of properties in that area. We can see that in this area two bedrooms are very common at 31.2% and three bedrooms are very common at 39.4% and so are four or more bedrooms. But one bedroom, its only 3.6%. 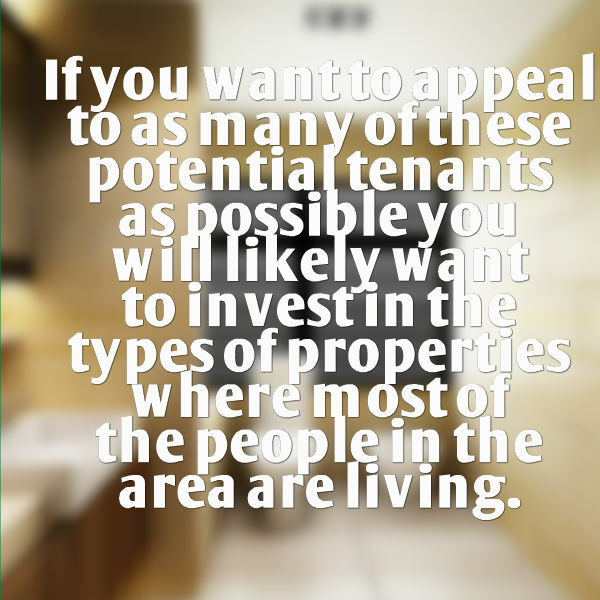 If you want to appeal to as many of these potential tenants as possible you will likely want to stick around the types of properties where most of the people in the area are living. Because if you have a one bedroom unit in this area it looks like it would be harder to rent but if you have a two bedroom place there are a lot more people looking to live in 2 bedrooms. That’s how you can use the Census Quickstats to ensure there are renters out there and that you’re purchasing a property that’s going to be suitable to a wide variety of potential tenants. Another thing we want to do is we want to discover vacancy rates for an area. Go to sqmresearch.com.au/term_vacancy.php. Cccept the terms and then you can click to see vacancy rates by suburb or postal code. Type in the post code again 4220, click go, this will then load vacancy rates in the area. You can see this starts at January 2005, we don’t care about January 2005. Scroll right across to the right where you can see July 2014. This is awesome. I love SQM for this tool because it is so up to date. I am recording this towards the end of August and this is showing July’s data. So this is really accurate. If you use a magazine to find vacancy rates, that’s another technique. It’s going to be about 12 or 6 months old. Using this online tool you can see July last year rental occupancy was 97%, vacancy rates were 3% where as this year they’re even lower. So you can see what vacancy rates are like for the area by using that technique. The last thing that I would advise you to do if you are serious about buying in the area, you want to do your research first. But before you buy, you actually want to talk to the real estate agent about vacancy rates in the area and what things are like. Talk to the real estate agent as if you’re pretending to be a renter and that way you can get an idea. They might say “we have hundreds of people at every open for inspection and places go within a couple of days” which is a great indicator for you as a potential landlord. If they say, “look there is heaps of stuff on the market you will have so much to choose from” then that’s going to be a warning sign for you obviously. There are 4 different ways that you can ensure that a property that you purchased is going to have a large selection of tenants that will potentially rent your property. 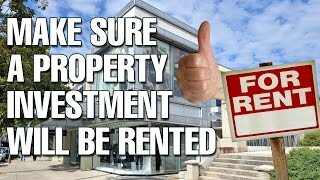 We want to ensure that our property is rented after we purchase it. So Melinda I hope that has helped answer your question. I think that was a really great question because that is one of the biggest fears that people have before they go out and buy properties, what happens if that property isn’t rented? You still need to do your sums and assume sometimes that a property is not rented and you need to have a buffer fund for that because if a tenant doesn’t pay their rent or you don’t have a tenant you still need to pay your mortgage and everything like that. So keep that in mind that it’s good to have a buffer but if you do this research hopefully you’ll never need to access that buffer.